A wholesale relationship with Abstract Coffee is about more than just coffee. It is a commitment to coffee excellence beginning with our local farmers to expert roasters to the quality product onsite for you. Abstract Coffee is a boutique coffee importing company with a unique network of coffee farm relationships throughout South America. 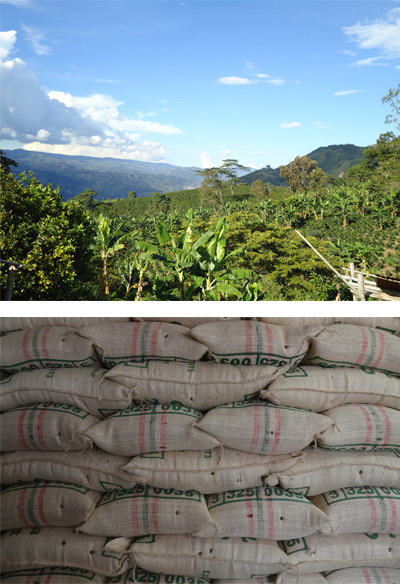 We are commited to cultivating relationship with coffee farms that are adhere to a stringent set of quality controls. We strive to provide our customers with traceability that offers a truly farm-to-cup experience. While we specialize in importing and selling green coffee, we are much more than that. Whether your business model is a small restaurant or a national coffee chain, we understand that quality and affordable coffee is the lifeblood of your business venture. Our team of buyers has personally cultivated relationships with all of our farmers and has spent countless hours perfecting our coffee. If you would like to discuss having Abstract Coffee create a custom coffee program, please reach out to us at through the form below, or emailing us at wholesale@abstractcoffee.com!